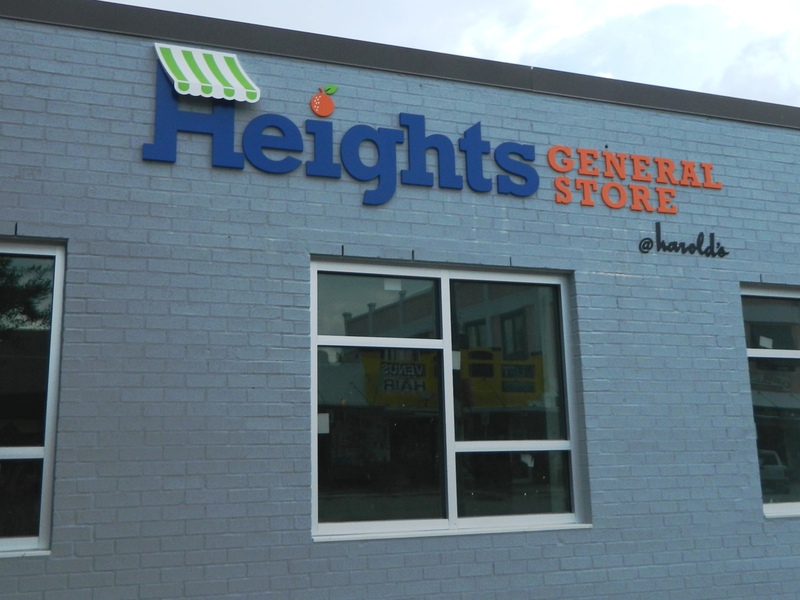 Another new store/shop/eatery is opening in the old Harolds building on 19th St. Alli Jarrett gives the philosophy for her new endeavor at their website: The Heights General Store @ harold’s. Their goal is to be the perfect place to buy artisan bread, pick up a prepared meal to take home or to enjoy supper on the roof top terrace. A combination of local store and kitchen. They will also offer a gift shop, juice bar and pizza oven. They get around the Heights dry laws (yep, we still have dry areas) by being a private club. Being in the old Harold’s building, they are keeping as much of the history of the building is possible. 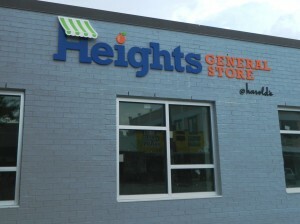 The Heights General Store is adjacent to the new Torchy’s Tacos. It opens Sept 26.